OKTA -the Russian technology refinery- was constructed in 1980 in the territory of former Yugoslavia to cover the needs of a wider area that included today’s FYROM, Kosovo, and southern Serbia, in the region of Preševo. The company was established in 1980, under the name OKTA CRUDE OIL REFINERY AD, and it was headquartered in Skopje. The company objective is the refining of crude oil, as well as the import and trade of petroleum products. The company has a refinery with a capacity of 2.5 million metric tons per year. 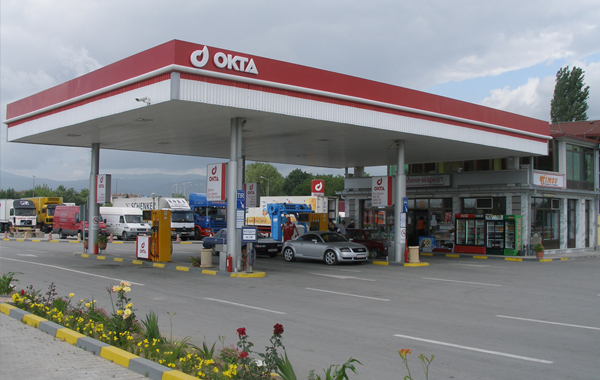 The main products OKTA produces are LPG, leaded and unleaded gas, aviation fuels, diesel and heating oil, as well as fuel oil, covering most of the needs of the domestic market, while exporting substantial quantities to Kosovo. Last, but not least, the company operates a network of 26 privately-owned stations. The shareholding structure of the company on 31.12.2007 was as follows: HELPET - BALKAN SA (subsidiary of Hellenic Petroleum SA at a percentage of 63%), with a percentage of 81,51%. The remaining 18,49% is held by workers, the Social Security Institute and the Privatization Organization of FYROM.